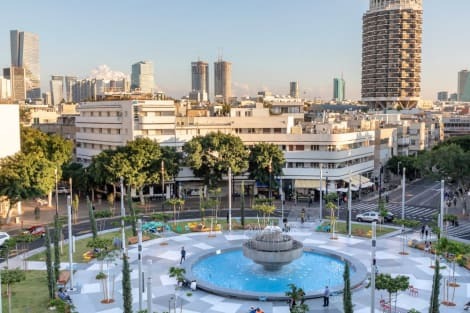 With a stay at Hayarkon Beach Apartments in Tel Aviv (Tel Aviv Promenade), you'll be steps from Ben Yehuda Street and 7 minutes by foot from Gordon Beach. This apartment is 0.4 mi (0.7 km) from Hilton Beach and 0.8 mi (1.2 km) from Old Tel Aviv Port. Satisfy your appetite at the hotel's coffee shop/café, or stay in and take advantage of the 24-hour room service. Breakfast is available daily from 7:30 AM to 10:30 AM for a fee. Make yourself at home in one of the 50 air-conditioned rooms featuring plasma televisions. Complimentary wireless Internet access keeps you connected, and cable programming is available for your entertainment. Private bathrooms with showers feature complimentary toiletries and hair dryers. Conveniences include phones, as well as safes and desks.